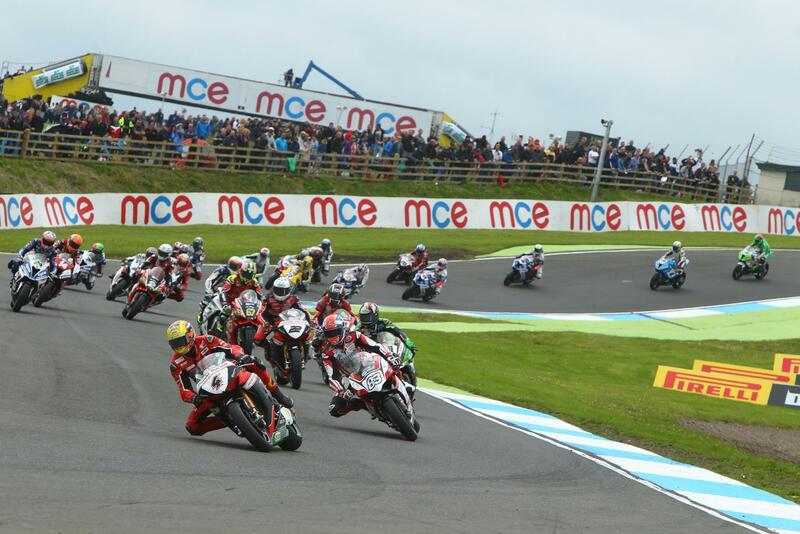 Leon Haslam held off an aggressive charge from Honda Racing’s Dan Linfoot to take victory in a dramatic opening MCE British Superbike race at Knockhill. It was Linfoot’s Honda team-mate Jason O’Halloran who took the early lead but Haslam was never far behind and moved to the front for the first time on the third lap as John Hopkins slotted into third on the ePayMe Yamaha. A bad start for pole-man Shane ‘Shakey’ Byrne saw him having to fight through the pack from the bottom end of the top ten but drama struck on the fourth lap as the four-time champion slipped off at the hairpin and collected team-mate Jake Dixon, who was then hit by Josh Wainwright’s PR BMW. With Wainwright’s BMW subsequently blowing up, the safety car was brought out while the track was cleared up and as the race resumed John Hopkins sensed his opportunity and lunged to the front ahead of Haslam. Linfoot seemed to benefit from the restart most, moving into second place on lap 13 before taking the lead for the first time as the final ten laps got underway. Determined not to miss out on the win, Haslam fought back hard with the pair scrapping until the bitter end with the JG Speedfit Kawasaki just edging it by 0.2 seconds at the line. Luke Mossey completed the podium in third ahead of an elated John Hopkins, Peter Hickman took fifth ahead of Richard Cooper while James Ellison finished seventh. Michael Laverty was eighth after colliding with Hopkins while fighting for third with Jason O’Halloran and Danny Buchan completing the top ten.